Roccat is readying a new gaming keyboard that will give Razer Star Wars Old Republic keyboard a run of its money. If you recall, the Razer has a nifty touchscreen along with ten OLED tactile keys above it but all these combined with 16-million color LED key lighting and the Star Wars branding make this keyboard prohibitively expensive. Roccat, on the other hand, improvises by adding an iPhone slot to its Phobo keyboard. When docked, your phone becomes a fully programmable touchscreen grid for quick macro key access. 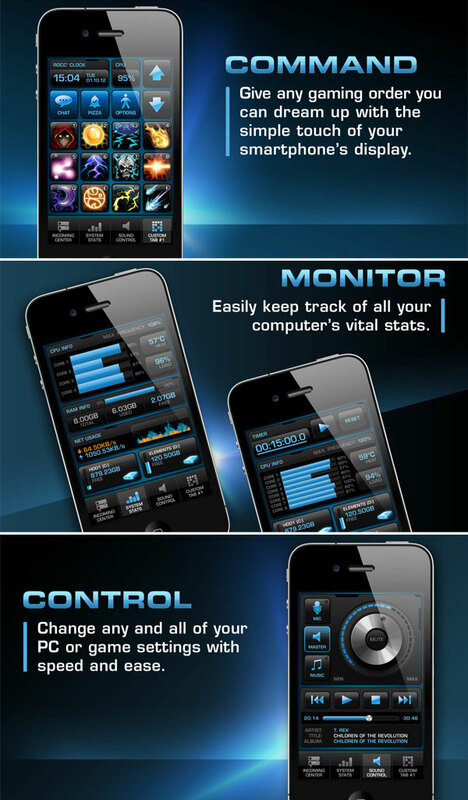 Additionally, the phone with Power-Grid iOS app can pull data such as gaming stats, FaceBook updates and Twitter traffic from your rig so your phone effectively becomes a companion display. What’s more? You can use Phobo’s keyboard to stay in touch with everyone in social networking sites. The same app can even route voice calls to your gaming headset so you won’t miss any calls while focusing on making headshots. Initial versions of Power-Grid will work with iPhone as well as iPod touch with future updates bringing Android compatibility. Right now, anyone can apply to be a beta tester, for the iOS app presumably. We wouldn’t go as far as saying the Power-Grid is a game changer but certainly it’s a bargain compared to competing products.